You may be asking yourself, what does redpoint mean and how is it relevant to our mission? Redpointing is a mountain climbing term that refers to climbing a route after having an unsuccessful first attempt. To redpoint a route means to attempt the challenge again, but this time with familiarity of the path and with support along the way. It is the act of trying again until success is reached, which is precisely how it is relevant to our company. Our goal is to facilitate the path, tools and support, the client then uses those resources to break down conflicting barriers and ascend into lasting change. redpoint inspires clients to take the alternate path in designing their lives and dealing with their current challenges head on. 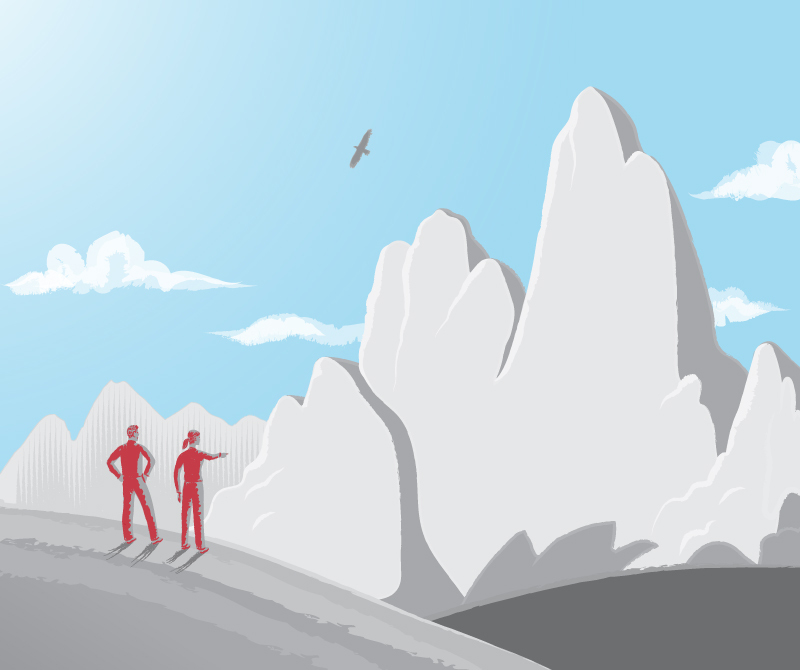 Our company illustration represents a map of life in which the terrain is a combination of successes and challenges. We are here to assist you in redpointing those challenges and ascending your route victoriously.